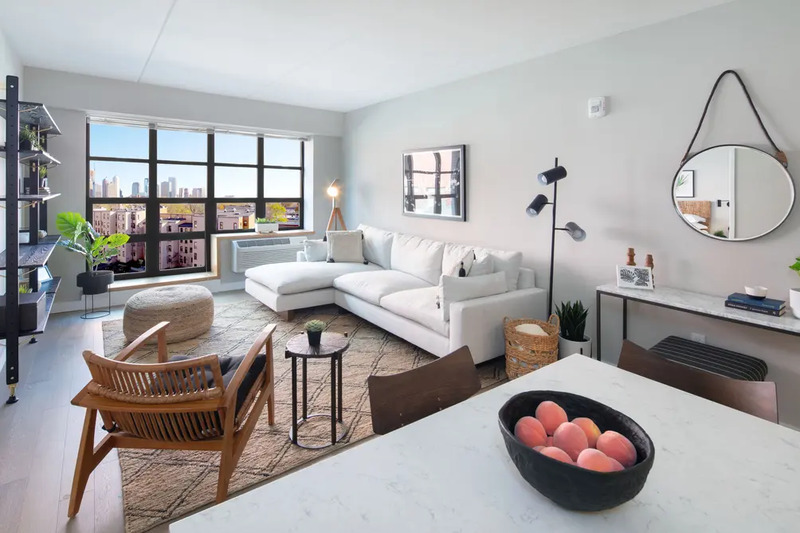 LeFrak's newest addition to Jersey City, Revetment House is currently leasing its 163-unit collection of rentals - and the building is already 90 percent leased after launching in 2018. It was developed by LeFrak as a follow-up to its nearby sister building Embankment House, and the properties are conveniently located in Jersey City's Hamilton Park neighborhood, close to both the Newport PATH and light rail stations. 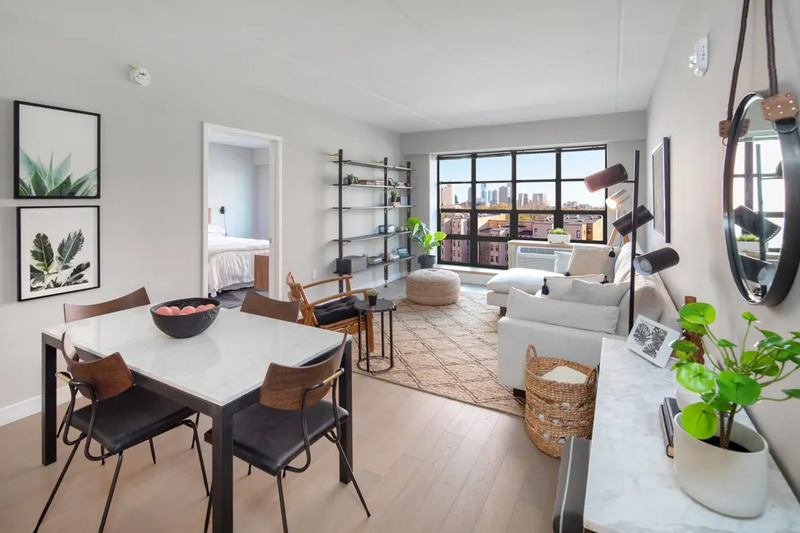 Listings on the Revetment House official website offer 1 month free on all units with net effective pricing for studios from $2,205/month, one bedrooms from $2,610/month and two bedrooms from $3,490/month. The spacious homes are flooded with natural light that highlights the contemporary-industrial aesthetic. The units feature hardwood plank floors, expansive windows, recessed lighting and zoned climate control. Kitchens offer high-quality countertops and backsplashes with contemporary cabinetry and stainless steel appliances. Bedrooms are spacious and some have grand walk-in closets. 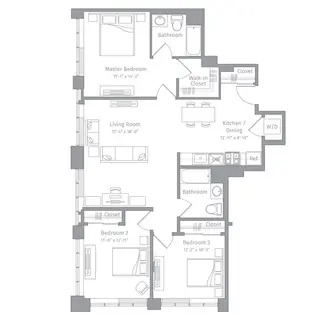 Two- and three-bedroom units have two full bathrooms and all units come equipped with a washer/dryer. Designed by HLW Architects, the building's design echoes the strong-boned industrial architecture found throughout the metro region. 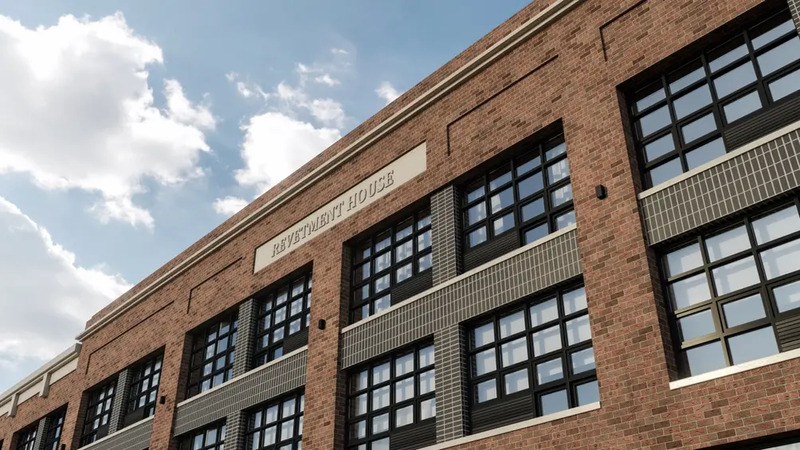 Built atop a railroad embankment operated by the Pennsylvania Railroad, the team specified a high-quality facade composed of red-brick, multi-pane windows and stone trim to pay homage to the charming, mixed-use streetscape of the neighborhood. The building is one block from the area's namesake park and a short walk to numerous small businesses, the Newport Centre Mall, and the Gold Coast waterfront. 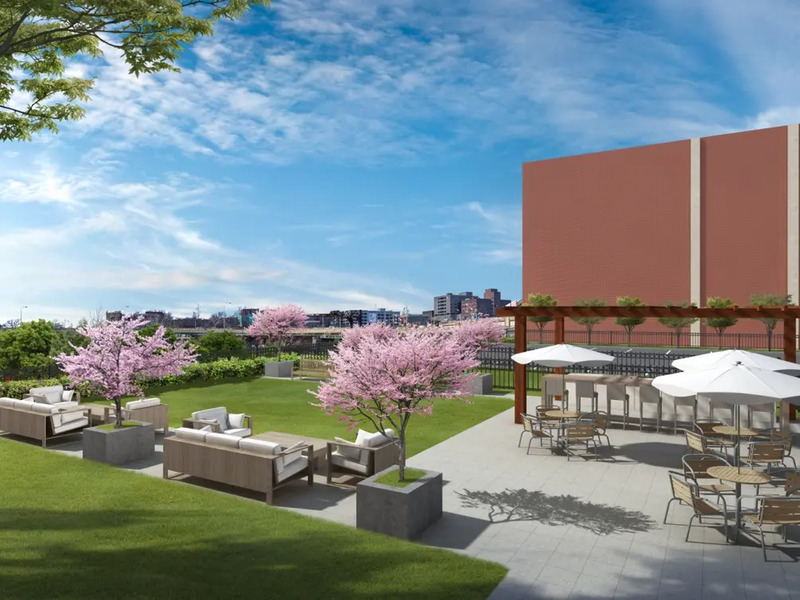 Revetment House's amenities include a landscaped roof deck, a dog run, a fitness center, a lounge, a children's playroom, a part-time doorman, a common laundry room, on-site parking and bike storage. 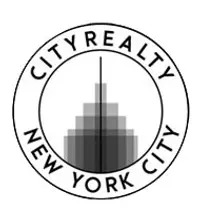 Prospective renters can contact the leasing office at (844) 607-0400 or visit the property's official website.